Economy: The economy of the country is based on agriculture, industry, tourism and natural resources. 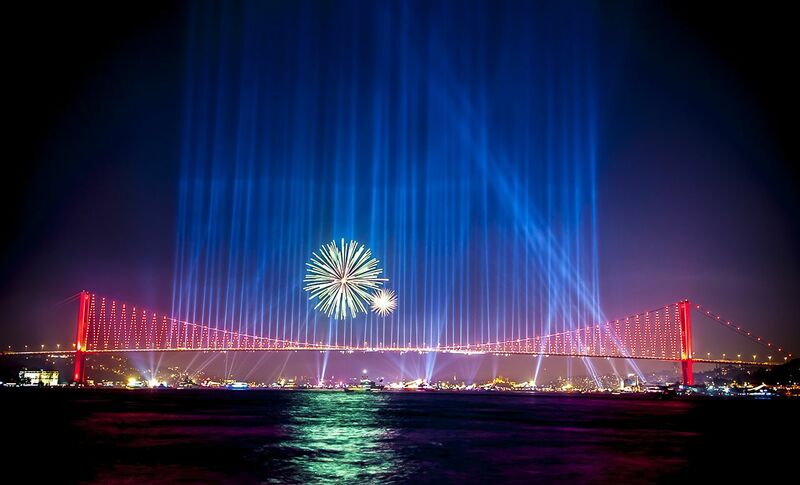 Population: The current population of Turkey is over 80 million people, 65% of them live in cities. Over half the population is under the age of 20. Transportation: Inter-city transportation is by airlines, trains and ferries but by far the most convenient and economical transport is by taking one of the modern and comfortable buses that travel almost everywhere in the country. Within towns and cities, cost-shared taxis (dolmus) and normal taxis are easily available. 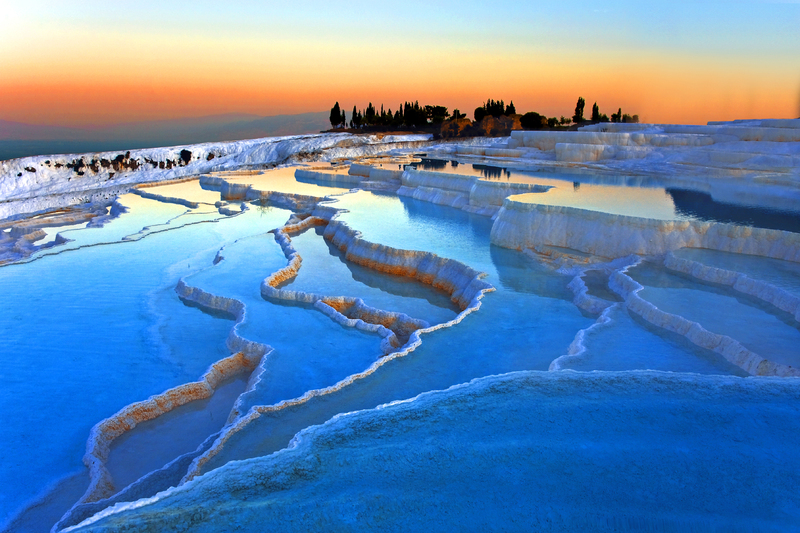 Climate: Turkey has a typically hot and sunny Mediterranean Climate, but it can get cold at night. Shopping: Turkey has many Bazaars and shops. The Turkish Carpets are very beautiful and are quite valuable as they are handwoven with unique designs and made with wool & silk, coloured with natural dyes and pigments. Each region of Turkey has its own design and the silk carpets (kilms) are of course the most valuable. Some of them can take one weaver up to eighteen months to make. Leather and jewelry (gold and silver) are also favourite purchases. In Turkey you can haggle to get the prices down and you will find that there is something to be found within anyone’s budget. Cuisine: Turkish Cuisine is one of the best in the world. It has a wide variety of dishes and is very healthy as well as delicious. Tipping: Tipping is customary at hotels and restaurants and for tour guides and drivers. Religion 99% of the Turkish Population is Muslim although they are generally not as strict as most of their Muslim neighbours. Turkey is a secular republic which grants freedom of worship. Health & Vaccinations: In general Turkey is a pretty healthy country to travel in although many people experience stomach upsets. It is best to drink bottled water and take the usual precautions over food hygiene. 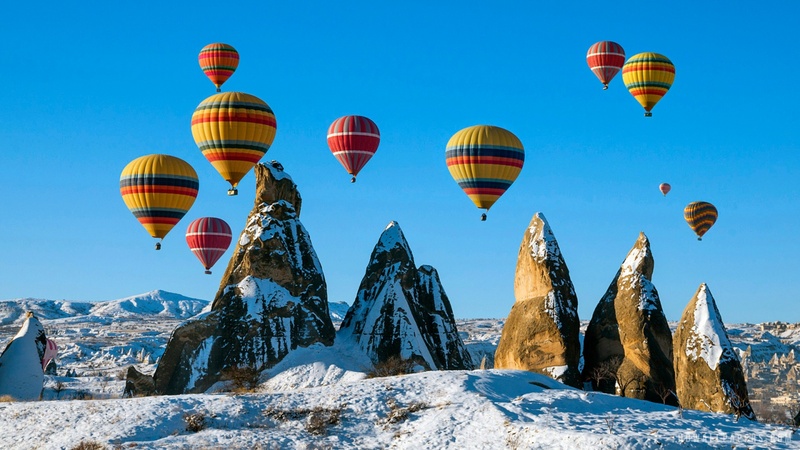 We recommend that you have the following vaccinations: Diptheria & Tetanus, Polio, Hepatitis A, Typhoid, Hepatitis B, Rabies and you may want to take Malaria Tablets if you are travelling to Eastern Turkey. You should take out travel/health insurance before you leave home. Time Difference: Turkey is seven hours ahead of Eastern Standard Time and two hours ahead of Greenwich Mean Time. Money/Bank: The currency used in Turkey is the Turkish Lira. Although all credit cards are accepted throughout Turkey, Visa and Master Card are most commonly used. Automated teller machines are normally available in larger cities. It is important to know that your PIN number must be all numerals, (no letters), and that the money dispensed will be in Turkish Lira. 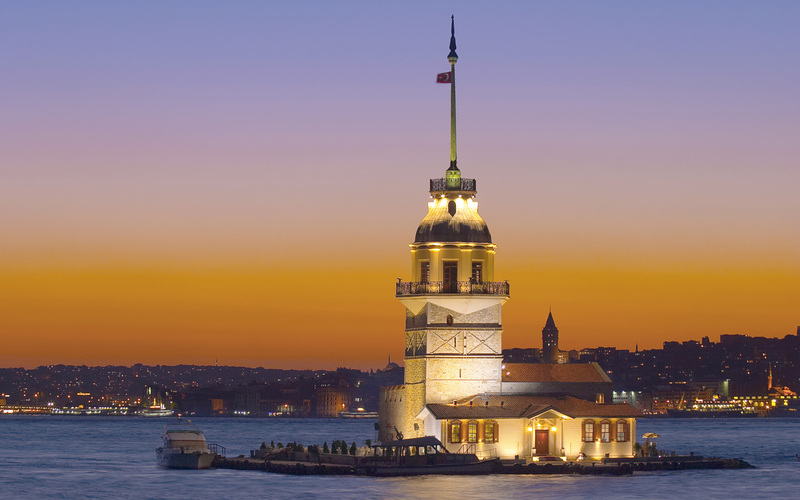 Throughout Turkey, banking hours are 8.30am – 12.00pm and 1.00pm – 5.00pm Monday to Friday. Commission and exchange rates vary from bank to bank. Commission rates typically remain within 1% to 3%. Money exchange bureaus usually offer a good rate for cash, while hotels are as good a place as any to cash travellers checks. Please note that a passport is required when exchanging travellers checks for large amounts of cash. Post Offices: Post Offices are easily identified by their bright yellow facades and PTT (Postal, Telegraph, and Telephone) signs. The main post offices in the large cities are open Monday to Saturday 8.00am – 9.00pm and 9.00am – 7.00pm on Sunday. Smaller post offices are open Monday to Saturday from 8.30am to 5.00pm. Postal fees fluctuate according to inflation rates. The cost of mailing postcards and letters is minimal. Calling the US from Turkey: As throughout the world, hotels in Turkey apply heavy service fees to international phone calls. Therefore, we recommend using a long distance calling card. Although your calling card will be billed for the call, the hotel will assess a nominal fee for connecting you with the international operator. Clothing: Turkey is an informal country. Comfortable, casual clothing is appropriate to wear throughout. Comfortable clothes and sensible walking shoes are advisable to wear during sightseeing. You will be required to remove your shoes upon entering a mosque. Keep in mind that shorts, short skirts or bare shoulders are not allowed in the mosques, and that a head covering for women, although not required, is greatly appreciated. Electricity: 220 Volts. In Turkey, electrical appliances manufactured in the U.S. require the use of a standard two-prong adaptor. A converter is also needed if the appliance does not have dual voltage as the voltage varies between 110V and 220V at 50Hz. However, many hotels are equipped with 110V outlets for such items as shavers, and are clearly marked “For Shavers Only.” As the voltage in the U.S. is considerably lower (110V), the use of high wattage appliances such as blow dryers should not be attempted. What is expensive and what is cheap in Turkey As a general rule, anything sold in Turkey that is imported is quite expensive. Camera film, toiletries and anything electrical are expensive. Whereas cigarettes, local alcohol (vodka, gin and raki), leather, carpets, clothes, sunglasses, silver and gold jewellery are cheap.